Just as private health insurance companies offer open enrollment throughout the year, Medicaid offers open enrollment to individuals and families. During the month of November 2009, in the state of Ohio, people receiving health-care through a managed care provider can change their provider. Typically, Medicaid is administered through a managed care provider in the Covered Families and Children (CFC) or Aged, Blind and Disabled (ABD) programs. A managed care provider is a private health insurance organization that contracts through Medicaid and arranges and provides health care services for its members. Managed care providers vary throughout the state of Ohio depending on the region. People living in more urban areas are more likely to have a range of choices in providers than those residing in a more rural area. Some providers in the state of Ohio include Molina, CareSource and AmeriGroup. Once a person is enrolled in Medicaid, they will have a specified amount of time to choose a managed care provider. If the deadline is exceeded the Department of Job and Family Services will simply randomly choose the provider. Once the decision is made and a provider is chosen, consumers cannot change providers until the open enrollment period. This period has been set for the month of November 2009. Individuals or families covered by Medicaid in Ohio may want to change providers for a number of reasons. Many doctors only accept certain private insurance providers so an individual with Molina insurance will not be able to be seen by a physician who only accepts CareSource insurance. Another reason that a person may want to switch insurance providers within Medicaid is the fact that different managed care providers offer different services. In addition to providing healthcare to covered individuals and families, some providers offer transportation to and from medical appointments or nursing services. Consumers who are on Medicaid with a managed care provider in Ohio will be receiving letters notifying them that open enrollment is coming up. The letter will advise the consumer of their current provider and which providers are available in their area. Individuals or families who are satisfied with current services and do not want to switch should do nothing. Individuals who want to switch insurance providers should call the number included in the letter, 1-800-605-3040, which is the enrollment center. A representative will offer information about the provider and assist with the change. It’s important for people to make an informed choice regarding their managed care provider as it’s a choice that will have remain for a year. 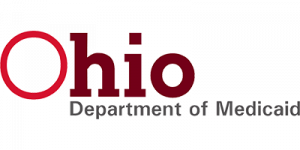 Consumers can also visit the Ohio Department of Job and Family Services website for additional information or visit their local branch office. Read another article about forming a trust. Healthcare Reform is Not the Problem – the Public Option in Healthcare Reform is the Problem. © 2017 The Palmsassisted Living. All Rights Reserved.